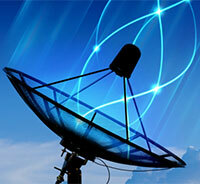 Freeview TV Aerial and Satellite dish installation and Repair cost detail. Currently we take cash, cheque and we also do invoice via e-mail from MYOB essential for those who want to do online banking. It's even easier if you're banking with ASB Bank as you can make payment to our Mobile phone number. We believe our prices are reasonable as most of our job can either be at height or in confine space. There is no hidden cost, for more information, contact us. Completely new tv antenna installation includes HD UHF antenna, the mount, cabling for one TV connection or to a distribution point and connect existing cables for up to 4 connection. At poor TV signal reception area an amplifier maybe required at an extra cost of $60. The price includes the Freeview Live IPTV and the installation. Include UHF Aerial using the existing pole and cabling. Extra $20 may apply if repair may require to get the signal through. We will replace masthead amplifier only if the the signal reception at your area is poor otherwise our technician will just bypass it and we'll only charge you standard repair $120. We work our way up from the TV outlet to the TV antenna in every fault finding to make sure when we leave, the problem is completely solve. For easy fix job such as changing TV input which become more common now, our minimum charge is $100. Include Dish, LNB, cabling to one TV connection or to connect existing cables for up to four TV connection. If the LNB is found to be faulty, we will replace it with a commercial hi gain 11300Hz LNB at an extra cost of $45. We work our way up from the TV outlet to the satellite dish in every fault finding to make sure when we leave, the problem is completely solve. For easy fix job such as Sky Decoder or Satellite decoder or putting on a connector minimum charge of $100 charge apply. TV wall mounting Cost: $120 + gst. This is for labour cost only but we can provide TV wall mounting bracket at extra cost starting from $60. Home Theatre Setup Cost: $120 + gst. If you have a home theatre that need setup, we can set it up for you, show you how it work and we'll keep it simple to operate. This include cable and connectors. An extra charge of $20 for wall plate on customer request. For extra connection or if cabling is part of another job is $60, $100 if cabling is inside the wall. There is no hidden cost, for more information, contact us.